Samsung DV300F, like its predecessors ST600 and ST700, is a digital camera with dual screens. The additional front-facing LCD screen is meant for taking self-portraits. 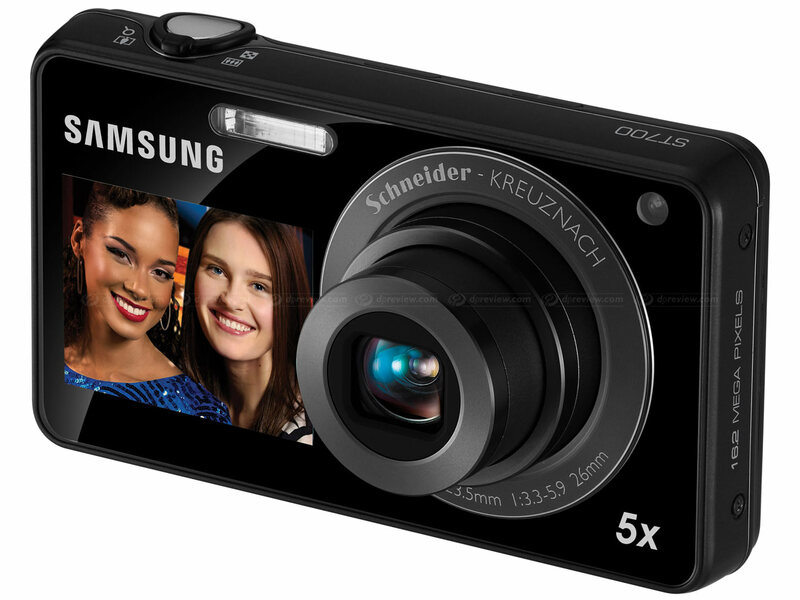 The new Samsung DualView digital camera comes with a 16.1-megapixel sensor and 5x wide-angle optical zoom lens. The key feature of the DV300F is its built-in Wi-Fi capability. It means users can upload images on the web and send them wirelessly to a computer beyond the traditional ways. This way, you can unload fresh snaps ad video clips to Facebook, PhotoBucket, Flickr, YouTube and other in a matter of seconds. The camera, however, features a microSDHC card to store contents and it has optical image stabilization and ISO up to 3200. With a pair of 3-inch 460k main LCD display and a 1.5-inch 61k LCD screen in the front, the Samsung DV300F camera can grab images and video clips up to 720p 30fps with mono sound. 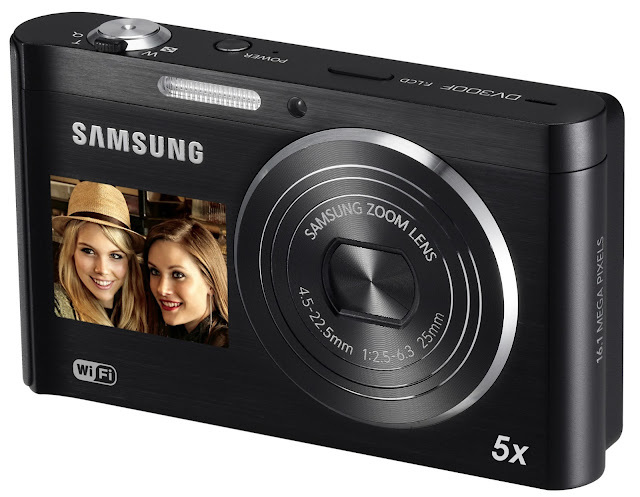 Apart from its Wi-Fi capability, the new Samsung DualView camera comes up with a pick of other features also. The cam features 12 Magic Frame background templates, picture-in-picture function to insert one snap within another image or video. You have 8 Funny Face modes to add comical touches to eyes, nose, mouth and other parts of your snaps on the camera. Artistic Brush special effects filter, SplitShot function and Motion Photo function are other leading features of Samsung DV300F. The new DualView digital camera will be up for grabs in black, navy, silver and red body colors. The Samsung DualView camera is yet to come up. It has just been announced by the South Korean technology maker and it will be shown up at CES 2012 in Las Vegas next week. So it is not the time to look into the drawbacks of the camera. 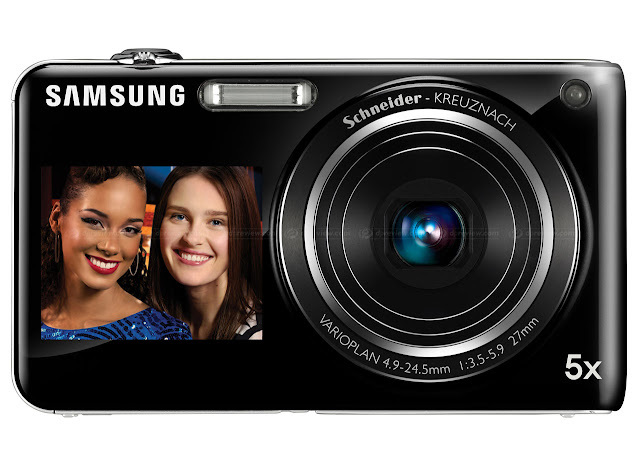 The DV300F is certainly an advanced version of the well-known Dual View camera series from Samsung. The company has planned to ship the new version of camera for a price of just $199. It will be demoed at CES 2012 and no details are available of its release date. The major feature that will make the Samsung DV300F noteworthy is its Wi-Fi compatibility along with DLNA support. However, the DualView screen is not a huge attraction point for the camera series, because the front screen is mainly useful to capture self portraits.